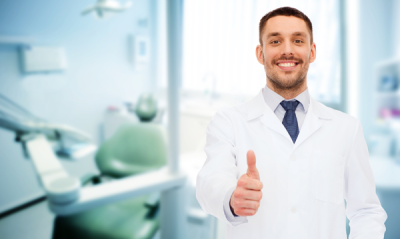 Like doctors that choose to specialize in different fields like neurology and endocrinology, an orthodontist is a dentist that has received special training to treat facial and dental anomalies like malocclusions. Something that many don’t know is that all orthodontists can be dentists, but not all dentists can be orthodontists! Orthodontists are qualified dentists who take extra years of university-based study and gain widespread experience in an orthodontic residency program. Today, Dr. John Walker and Dr. Liz Walker of Walker Orthodontics will help you distinguish the difference between a dentist and an orthodontist near Westford, MA. While a dentist can be qualified to offer orthodontic care in addition to extractions, TMJ treatments, and fillings, Dr. John Walker and Dr. Liz Walker say that putting your smile in the hands of an orthodontist can better balance the procedures you need. Orthodontists help to correct patients’ malocclusions including underbites and overbites, crossbites, spaces between teeth, overcrowding of teeth, and the treatment of temporomandibular disorders. Other problems with the jaw should also be taken care of by an orthodontist. They can fix any of the malocclusions above (an abnormality in the alignment of the upper and/or lower teeth) through orthodontic treatment with braces. The Walker Orthodontics team mentions that there are many options that they use in regard to the treatment of malocclusions, the most popular being braces. The four most common types of braces used are traditional metal braces, clear ceramic braces, lingual braces, or clear plastic aligners. Metal braces are the most common form used in treatment. They consist of metal brackets that are adhered to the front of the teeth, and banded together with a thermosensitive wire that slowly bends them into their intended position over time. Ceramic braces are just like metal braces, but are clear or tooth-colored- camouflaging them into the teeth. Lingual braces are metal braces, but are adhered to the back of the teeth. This makes them much more expensive due to the difficult adhesion procedure, but completely hidden from view. Clear aligners like the Invisalign system use sets of completely clear plastic trays that can be removed to eat, brush, and floss, are almost completely invisible, and are a popular method for teens and adults. Is orthodontic treatment all I need for my smile to look its’ best? No, it’s not. You should also see your dentist at regular intervals during the time that you are receiving treatment. Going to your orthodontist near Westford, MA is NOT a substitute for dental checkups. It’s important to keep good dental hygiene a part of your daily routine, as it will keep your teeth healthy and clean, and will reduce your treatment time. If you have non-removable braces, food and plaque can become stuck between gums and teeth, or under wires and between brackets. To lessen the risk of cavities, it’s important to practice good brushing and flossing habits, as well as reducing the consumption of foods that will cause damage to your teeth like candy or soda. If you’re looking for an orthodontist that can help you achieve the smile of your dreams, then look no further- Dr. John Walker and Dr. Liz Walker of Walker Orthodontics are here to help you! They work in conjunction with the Walker Orthodontics team to make sure that all of their patients are satisfied with their orthodontic treatment near Westford, MA. Give them a call at 978-345-7988 to schedule a consultation today!